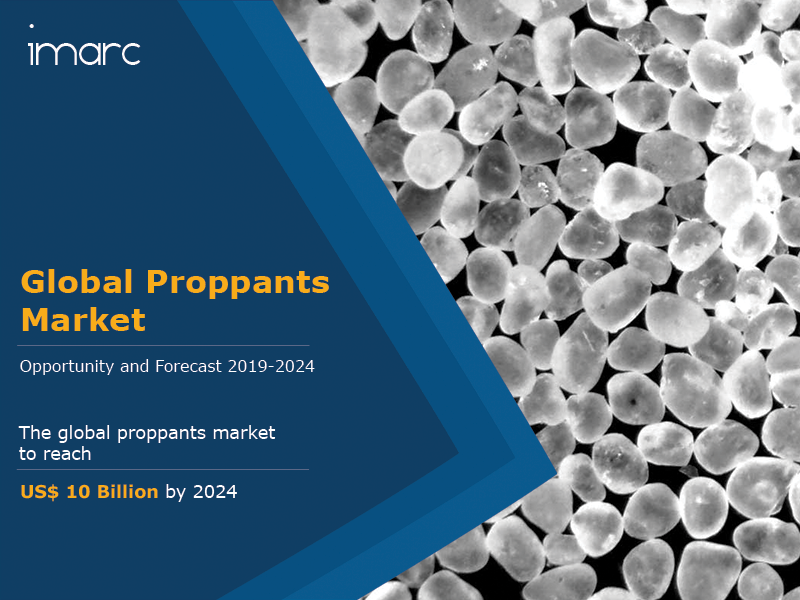 The global proppants market reached a value of US$ 7.4 Billion in 2018. Proppants are gritty materials which are used during the process of hydraulic fracturing to prevent the closing of fissures in shale rock. They aid in the extraction of oil and gas by creating a channel through which hydrocarbons can flow more freely. Proppants are currently available in different sizes, shapes, densities and qualities which play a vital role in influencing the final permeability of fissures. The two types of proppants available are naturally-occurring (frac sand) and man-made/engineered proppants. Amongst these, man-made proppants are further classified into resin-coated and ceramic variants. Proppants are conductive and crush-resistant in nature, owing to which they are widely used in the oil and gas industry. The perpetual demand for oil and natural gas across both developed and emerging economies is one of the major growth-inducing factors of the proppants industry. Over the past decades, oil and natural gas were obtained using conventional extraction techniques. Since these resources have gradually depleted, there has been a subsequent rise in the adoption of unconventional oil and gas extraction techniques which require proppants for smooth flow of resources. Moreover, manufacturers are introducing new fracking techniques like horizontal multistage fracturing. As these techniques are expected to gain momentum in the coming years, they are creating a positive outlook for the proppants market. Further, China has abundant availability of raw materials for manufacturing ceramic proppants. This, coupled with low production costs in the country, is encouraging several players to set up new manufacturing facilities in China. Looking forward, the market is further projected to reach a value of around US$ 10 Billion by 2024, registering a CAGR of 5.1% during 2019-2024. Yixing Orient Petroleum Proppants Co., Ltd.
Yangquan Changqing Petroleum Proppants Co., Ltd.
How has the global proppants market performed so far and how will it perform in the coming years? What are the key regional markets in the global proppants industry? What is the breakup of the global proppants market on the basis of product type? What is the breakup of the global proppants market on the basis of application? What are the various stages in the value chain of the global proppants market? What are the key driving factors and challenges in the global proppants market? What is the structure of the global proppants market and who are the key players? What is the degree of competition in the global proppants market? 14.3.3 U.S. Silica Holdings, Inc.
14.3.5 Yixing Orient Petroleum Proppants Co., Ltd.
14.3.7 China Gengsheng Minerals, Inc.
14.3.8 Fairmount Santrol Holdings Inc.
14.3.19 Yangquan Changqing Petroleum Proppants Co., Ltd.